IRIS is an intraoral camera that features a user-friendly, multi-stop focus wheel and a unique USB connector. 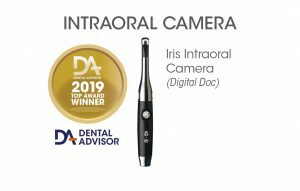 The IRIS intraoral camera is a precision optical instrument with streamlined features and a tip that is small, narrow and soft. Superior image quality and sharpness are supported by brilliant eight-point LED lighting and Sony’s hi-resolution CCD. The camera features dual capture, light, and on/off buttons for right or left-handed convenience, enabling any member of a dental team to capture images quickly and easily. The focus wheel has eight settings for precise focusing from macro to infinity. 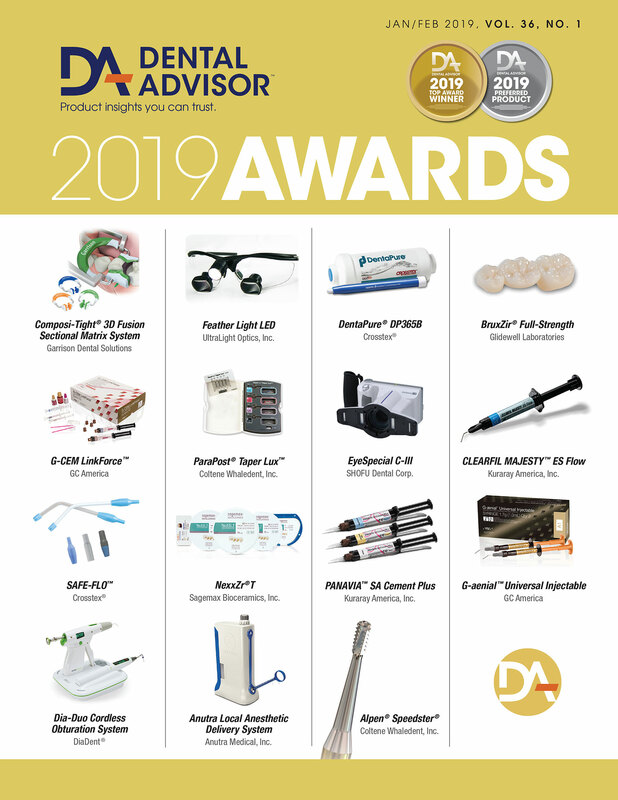 The IRIS intraoral camera integrates with most major practice management software systems. Computer system requirements include a PC with 2.0 GHz or higher, 1 GB RAM, and a USB 2.0 interface. The camera wand is designed to dock into a standard delivery unit handpiece cradle for easy access and use. The camera includes a holder for installation onto a delivery cart and disposable plastic sheaths. A ring flash attachment is available separately. It charges on the USB port and can be used for full-arch or smile views. The IRIS now has a MAC compatible model available. IRIS was evaluated by nine consultants during a four-month period. This product received a 96% clinical rating. IRIS features a sleek, stainless steel wand with a soft tip that is narrow enough to access all areas of the mouth. The 90° lens allows for intuitive positioning, and the 15-foot cable is adequate. Capture buttons on the sides of the wand are very responsive and are positioned perfectly for squeeze-and-release activation with thumb and fingertip. The multi-stop focus wheel has five options based on image type: full face, smile, one-surface, two-surface, and macro. The LED lights fully illuminate the field, and pictures exhibit excellent trueness of colors. The lights may be turned off while the camera is on, allowing images of backlit x-rays to be taken. Images exhibit sharp detail, even with a barrier sheath over the lens. Integration with various practice management software systems was seamless when the camera remained in one operatory. Technical issues occasionally occurred in offices where the camera was moved from one room to another. Eleven percent of consultants found IRIS to be equivalent to other intraoral cameras; 89% found it to be better and would switch to it. 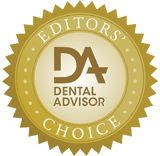 One hundred percent of consultants would recommend IRIS intraoral camera. Dry the teeth before capturing the image. Install a cable kit in each operatory, allowing the camera to be moved from room to room with a mini-USB connection.